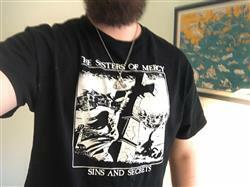 Dance in the dark with our Sisters of Mercy Sins and Secrets shirt. Fits and looks great ! Thanks!